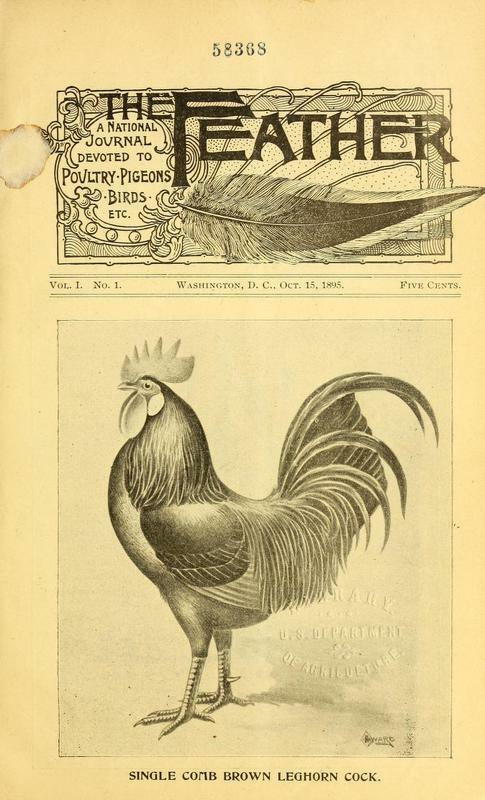 A National Journal Devoted to Poultry, Pigeons, Birds, Etc. 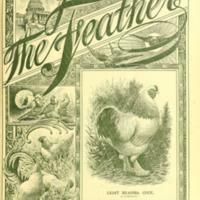 We make our bow to the feather-loving public. 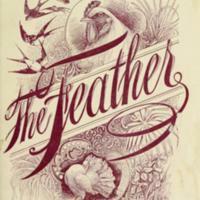 The Feather is designed to meet the wants of those interested in the feathered tribes. It does not fill a long- felt want perhaps, but hope is expressed that it will at least prove a worthy adjunct to the many valuable publications of its kind now in circulation. 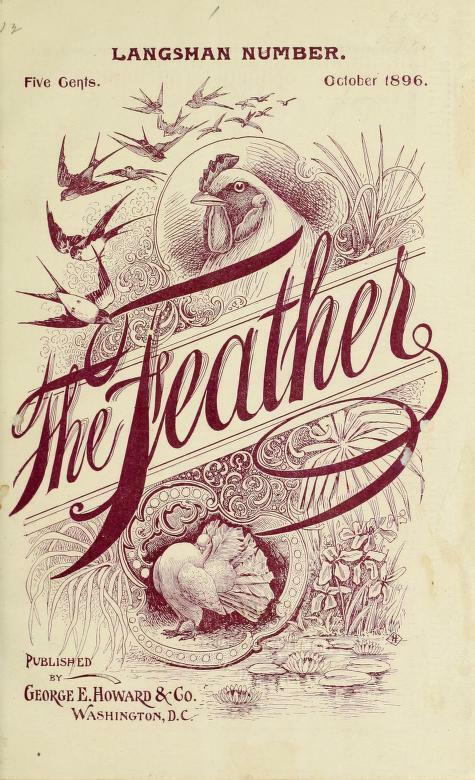 In character The Feather will be national, embracing thoughts and sentiments for all, irrespective of boundaries and locations. Its field is this broad land of ours, and the cultivation of the same will be its particular delight in the work it now begins. Its columns will be used for the enlightenment of its readers, not forgetting its duty towards those who contribute to its support and maintenance. 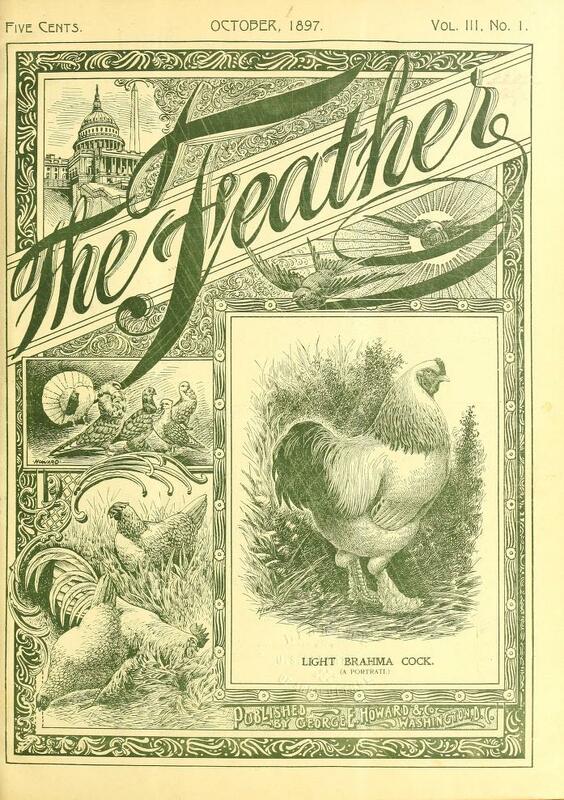 The brotherhood of man is expressive of our ideas of fraternity which should exist between the devotees of nature, and nothing would be more praiseworthy than the exemplification of brotherly love by the fanciers of poultry, pigeons, and birds of this glorious Republic. The fancier is a lover of nature and the lessons of nature are harmonies of action. As fanciers of nature, we should look to the edification of ideas calculated to strengthen these thoughts by reason of affiliation with the things which unite us to the love and devotion of the natural.